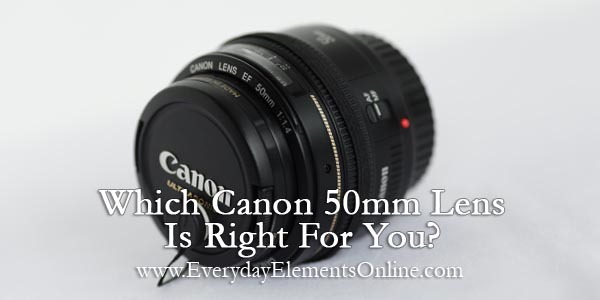 Which Canon 50mm Lens is Right for You? 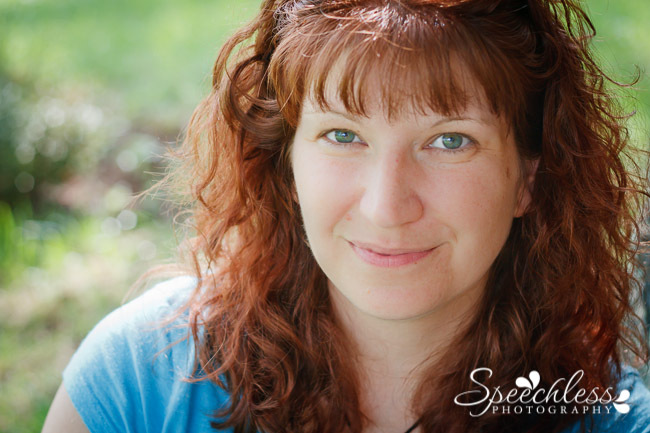 When I purchased my first DSLR camera, a Canon Rebel XTi, I was lucky to have a friend to help guide me with my purchasing decision. He was pretty adamant that I should skip the kit lens that typically comes bundled with the camera and go for a Canon 50mm f/1.8 prime lens instead. Looking back now, I am so thankful for my friend’s advice! The Canon 50mm f/1.8 is easy to underestimate. After all, it can typically be found for around $100, and if you’ve lens shopped much at all, you know that good quality lenses often have price tags in the thousands. It’s a small, lightweight lens and reviewers frequently mention a “plastic-y” feel in their comments. It’s a prime lens, which means it has a fixed focal length and you have to “zoom with your feet,” by physically changing the distance between you and your subject. I have to admit I really didn’t appreciate it much to begin with either. I had another lens, a 28-135mm zoom, that I used far more often than I did my humble little 50mm. But then I began to get really interested in photography. I wanted to know how to create those sparkling orbs of light and blurred backgrounds that I saw in professional photos. I wanted to take sharp photos indoors, where the light wasn’t great. I just wanted my photos to be better, and I wanted to learn everything I could about photography. So I stuck that cheapy little lens on my Rebel and started playing with my settings. I got some lucky shots (with the aperture wide open at 1.8, isn’t that where we all start? ), that I’m actually still proud of today. As I learned more about my camera and photography in general, I really began to appreciate that inexpensive lens and all that it could do. I found that the small size and light weight meant that it stayed on my camera 90% of the time. On my crop sensor Rebel, the 50mm lens acted more like an 80mm due to the crop factor, and that was a great focal length for flattering portraits, even if it did mean that I usually had to flatten myself against a wall to get more than close-up photos indoors. On a full frame camera like the Canon 5D, the 50mm lens provides a field of view very similar to what we actually see with our eyes. Then one day, it made sense for me to upgrade. I traded my beloved starter 50mm in for the Canon 50mm f/1.4. And wow, just wow. If I loved my 1.8, I wanted to marry my 1.4! It is a little more expensive, usually around $350, but I’ve seen it for less if you watch for sales. It’s slightly larger and about twice as heavy as the 1.8, it definitely doesn’t feel like plastic in your hands. Sometimes I wish I had started with this lens and skipped the 1.8 entirely, but then I’m not sure I would have appreciated just how great it is! 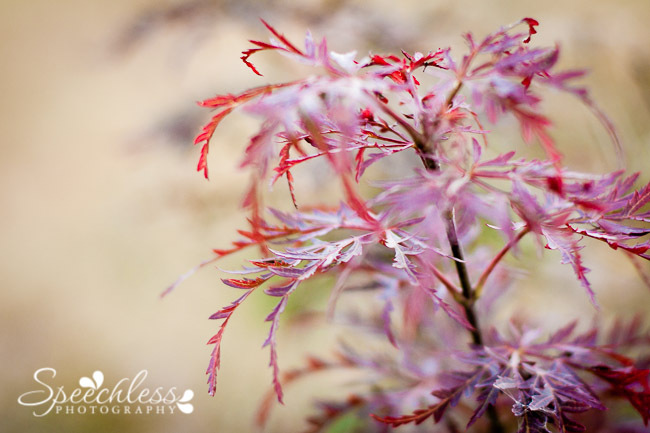 I immediately saw sharper images with better color when using the 50mm f/1.4 lens. It locks focus faster and performs better in low light. The 50mm 1.4 lens has 8 aperture blades, where the 1.8 lens only has 5. 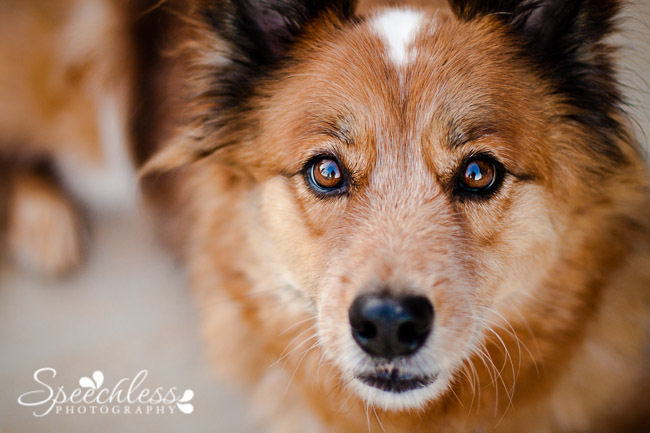 This means that the out of focus areas in the picture, or bokeh, are smoother and less-harsh looking with the 1.4 lens. It also means that out of focus highlights (those sought after orbs of light) look more circular and natural with the 1.4 lens, while they take on a pentagon shape with the 1.8 lens at smaller apertures. There are a few cons to the 1.4 lens though. I do notice a little more chromatic aberration (those green or purple edges that show up when you have very light and dark areas side by side in a photo), but this is primarily when shooting with a very wide aperture and is fairly easy to correct in my editing software. Also, this lens just slightly soft when shooting at 1.4, but many lenses aren’t their sharpest wide open, so this isn’t an uncommon thing. This lens is very sharp at smaller apertures, so I haven’t found this to be a problem at all. So, you’ve decided to buy one or the other. How do you choose? To be perfectly honest, you won’t be sorry with either one! If you’re on a limited budget or just beginning your photography journey, the 50mm f/1.8 is a great lens to get you started at an affordable price. You can rock this lens and take beautiful pictures with it! However, if the details I mentioned above in my comparison of the two lenses make sense and are important to you, or if you can swing the extra cost, then absolutely go for the 50mm f/1.4 straight out of the gate. 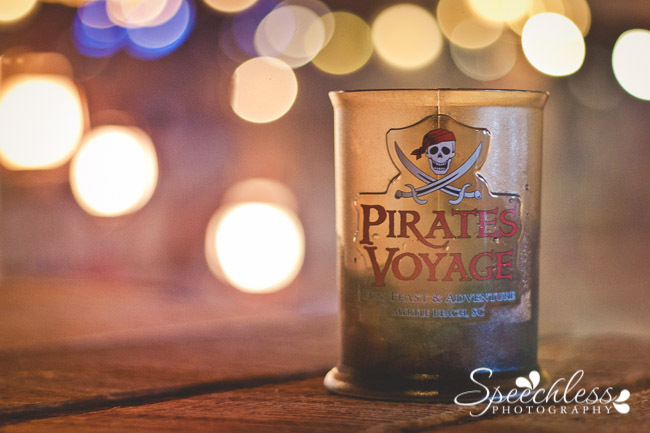 And if you are a Nikon shooter, check out the great post that Beckie wrote about the 50mm options for you! Yes, reading this makes me ill as I am longing for the upgrade but must wait… I just got the 5d so I can’t complain. All things in time. I have the 50mm 1.4 and love, love, love it. I love my 50mm f/1.8 and l look forward to eventually upgrading to a 1.4. The 1.8 has been a great lens in getting me started and I probably couldn’t have justified – this expensive hobby – with the 1.4. However, I will eventually upgrade to the 1.4 and I look forward to the day when I get the same feeling you did – about wanting to marry it! Rock your 1.8 while you have it, Elizabeth, and then you’ll be even more awesome whenever you are able to upgrade! I love my 50mm 1.4, especially with low light. Yes, the 1.4 lens is great in low light! What about the 1.4 in comparison to the 1.2? I have a 1.4 and love it, but am considering upgrading this year to the 1.2, but it seems there is a lot of love/hate feedback on this lens…thoughts? Have you thought about renting it or borrowing through CPS (if you are a CPS member) to test it out? That might be a good option so that you can determine if you think it’s worth it to upgrade. that’s a great suggestion! I think I’ll do that! thanks! This is a great post, Andrea! I planned on purchasing it on Thursday at my local Best Buy, but it’s sold out at every location within 80 miles of my home. That’s strange! So I began to think maybe there’s a new one coming out? I don’t know, but I had to borrow my friends 50mm f/1.8 this morning for my nephews newborn photo shoot tomorrow. Hi Monica, I haven’t heard any rumors about a new Canon 50mm lens coming out anytime soon, but I think whenever there is a sale on this lens, it does tend to sell out. Any opinions on buying this lens, whether in f1.8 or 1.4 used? Found some on B & H in like new conditions. Makes the sting a little easier to bear. I have not personally purchased any used lenses, but I feel like you should be safe going through a reputable business, like B&H. Make sure you are familiar with their warranties and return policies, in case they are different for used vs new. Also, I would recommend testing the lens thoroughly as soon as you get it so you can verify for yourself that it’s working properly. I just upgraded from the 1.8 to the 1.4 last week, and I agree…I want to marry my lens, and that is saying a lot, considering how much I already loved the 1.8. I was wavering between upgrading and buying a telephoto, and I’m so glad I chose to upgrade instead. I have 1.8 lens that came with my 5d that I never used because I already had the 1.4 that stays on my camera nearly 100% of the time. The 1.8 is brand new and I’d be willing to sell it if someone is interested! Thanks so much for such an informative article. I am just beginning to look for a wider aperature lense. I love my zoom & have wondered about the fixed lens, but want to be able to get a better blurred background & that lovely bokeh effect. my users would really benefit from some of thhe informattion you present here. Please lett mme knw iif this olay with you. Thanks!